over the weekend, a dear friend from college + her husband had a housewarming party. this was super exciting because 1) they moved from 30+ minutes away from us to less than a mile away + 2) i had an excuse to cook + bake. she requested my tomato + goat cheese tarts, which are always a big hit + so easy to make, so i gladly complied. while the onions were sauteeing for the tarts, i decided to whip up a quick batch of cookies. i looked around the kitchen to see what ingredients i had handy + aside from the usual cookie ingredients (flour, cocoa, peanut butter, nutella), i realized i also had some extra white wine hanging around. a quick google search revealed that you can, in fact, make white wine cookies. win! the result? these cookies are fresh, springy + delicious. it was in the mid-70s + sunny for the party, so i knew something light + refreshing would be perfect. they worked well with the rest of the menu + were tasty without being heavy. when i make them again, i may try adding some fresh herbs into the batter, perhaps thyme or rosemary. these cookies are the perfect balance of sweet + savory, + are sure to please! first, combine oil + sugar to make a creamy paste. add in wine. add in vanila + lemon peel, then blend in flour with hands, a little at a time, until a smooth ball is formed. divide dough into small pieces of approximately 1 1/2 tablespoons each. using two spoons, shape the dough into a small quenelle shape. place on baking sheet llined with parchment paper + bake in an oven preheated to 350 degrees for 10-12 minutes. What a cool idea! I have never tried wine cookies and can’t wait to give these a go! The quenelle shape is very sweet. The wine biscuits I make are always in a ring; maybe I should branch away from the recipe for once. Did you dip them in a sweet, sipping wine? I can definitely see that as an option for Easter treats… for adults, of course! hi heather – the recipe actually did call for them to be ring-shaped (+ half dipped in granulated sugar). i went the quenelle-shape route simply because we were short on time + i knew the rings would take much longer. =) i also skipped the sugar-dip because i thought it would make them too sugary sweet. although dipping them in a sweet wine? i could definitely get behind that! Yum! I’m seriously craving fresh and light these days. Going to add this recipe to Easter brunch menu right now, but I’ll definitely have to sample before then! 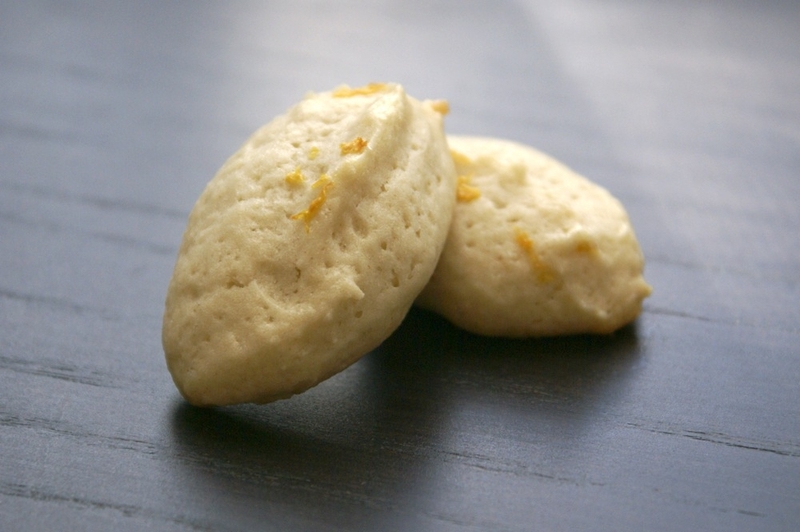 These look so good…I love lemony treats when the weather starts warming up! And I can vouch that rosemary and lemon go great together. When I first started my blog in summer, I made a lemon-rosemary cake with a lemon-glaze. The flavors combined very well in a baked product!! 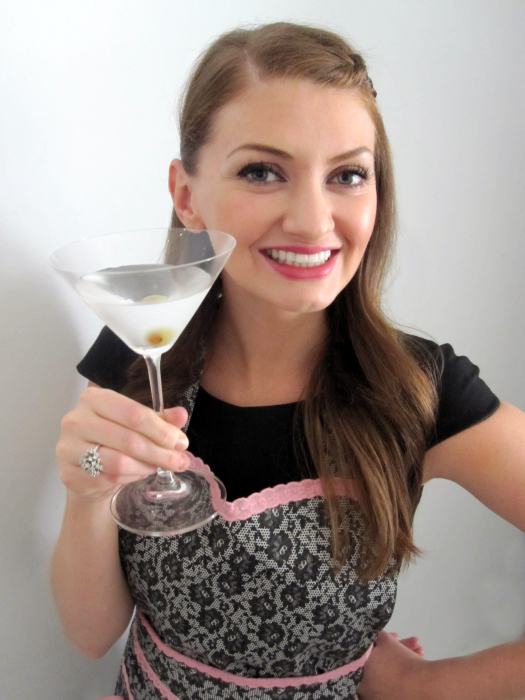 I love baking with wine, and am always looking for new recipes with “spirited” combinations. I’ll definitely be trying these out. Thank you! i love boozy baking, too – you’ll have to give these delicious, light cookies a try! also, i just saw the chardonnay butterscotch blondies on your blog. if you liked those, i bet you’ll love the butterscotch bourbon bars that i made a few months ago (if you like bourbon, that is). they were amazing! I found your recipe last night when searching for something to bring to Wine & Cheese! They were fun to make, and were were a hit at the party. Thanks Amy! Wish my cookies looked like yours! I just tried this and had issues with the quenelle shape. The batter keep separating so had a bumpy texture. I am not sure if this is because I had too much or too little flour. At first I thought that the texture with the lower amount of flour was too sticky and liquidy, but perhaps I should have stuck with that? hi Karen! so sorry to hear that your cookies didn’t turn out well. =( if the batter was too sticky + liquidy, then you were right to add more flour. in terms of it separating, i’m not quite sure what would’ve caused that – i’ve never had that happen. i’ll make a note to remake these within the next few weeks + if i have any additional tips, i’ll send them your way! Next post: kenny’s farmhouse cheese – fieldtrip!